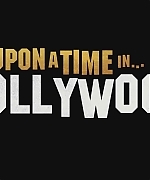 Vanity Fair has given an exclusive preview of Quentin Tarantino’s Once Upon a Time in Hollywood. Margot looks amazing as Sharon Tate! But it’s a Hollywood story for bigger reasons. This was an era, not merely an event; a lifestyle, a people, a widespread obsession—not merely a spot on a timeline or map. The city is a sprawl. So was 1969. And so is the work of Quentin Tarantino, whose last three movies were violent but (mass Nazi execution notwithstanding) playful excursions into history, all of them riffs on the deviant style and rough talkiness of the Westerns Tarantino loves, even the Dirty Dozen-esque World War II picture Inglourious Basterds, in which a motley troop of American badasses, a mock-Tennessean Brad Pitt at its helm, takes its grievances out on Nazi skulls. Once Upon a Time . 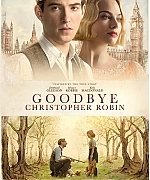 . . in Hollywood will be released July 26. 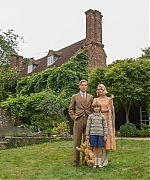 Updated the gallery adding a couple of new production stills from Margot’s next movie Goodbye Christopher Robin, together with a new promotional poster and a behind the scenes photo. The movie premiere is set for September 20 in London, and Margot is scheduled to appear! 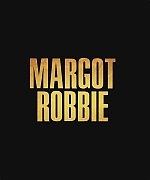 Be sure to keep our twitter checked @MargotRobbieCom, photos from the premiere will be added there first!